I've wanted to try the whole pencil eraser as a rubber stamp thing for like ever. 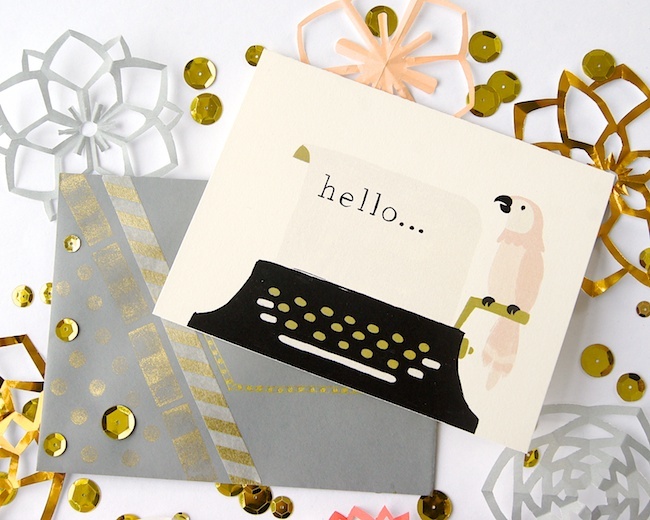 My Quill & Fox notecards came complete with lovely grey envelopes so it seemed like the perfect opportunity to add a little gold (or a lot of gold, as the case may be). Of course, one thing led to another and my simple polka dots wanted block-y friends. And then, I couldn't not add a little washi tape, right? And then, I just couldn't resist sticking on a few sequins - just for fun. Classic case of if-you-give-a-mouse-a-cookie-itis! 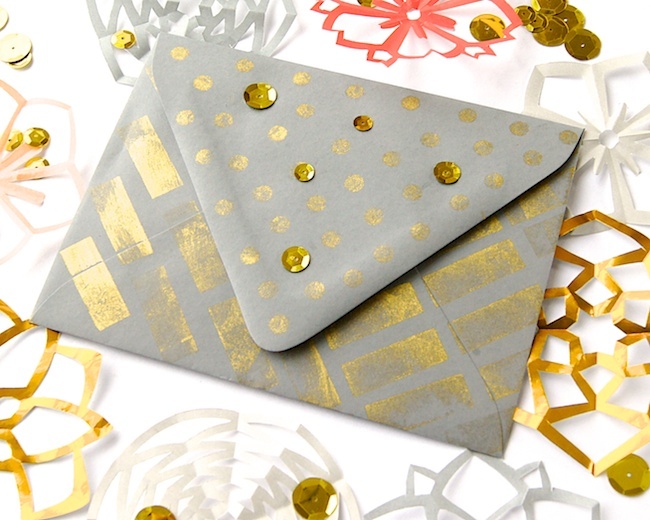 Inside the envelope, with that clever notecard, I'll slip a few kirigami paper cuts and a sprinkling of gold sequins. 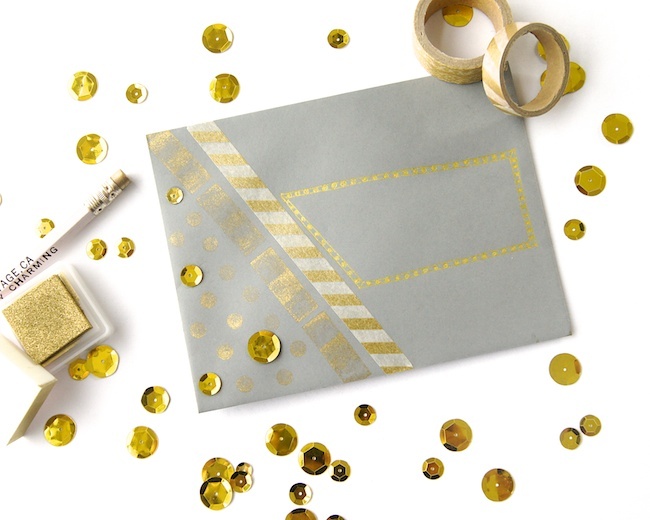 Remember when people used to send fancy confetti in their cards? 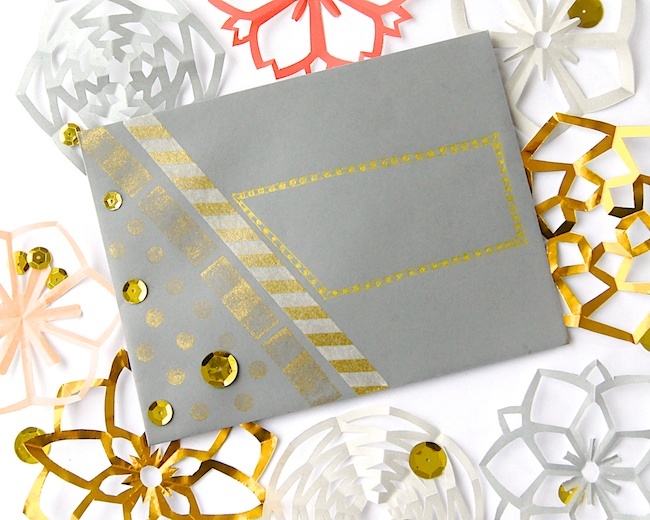 Want to receive some pretty mail in YOUR mailbox? 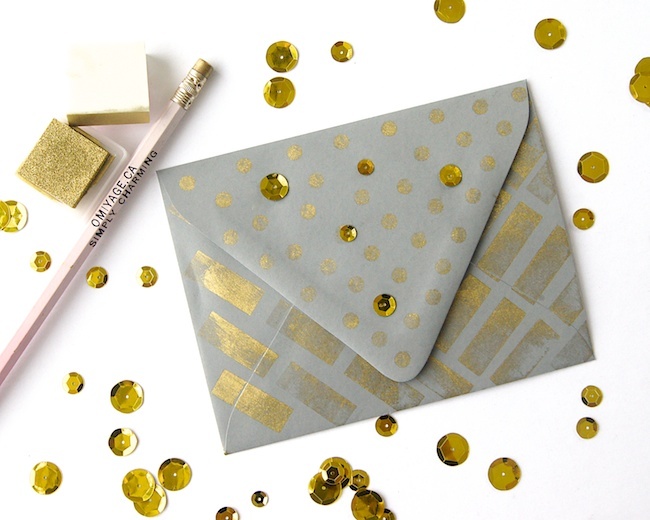 Send me a note at info@omiyage.ca with your mailing address and a little something about yourself. I'll be making a list and choosing new friends to send mail to each month. And don't worry if you don't hear back from me right away - February & March are already full thanks to Mail Swaps.